The Toledo, Ohio-based restaurant brand prioritizes back-end technology for streamlined operations. Toledo, Ohio’s Balance Grille was conceived with an explicit prioritization of technological infrastructure. “A reliance on technology was always part of the idea,” said Prakash Karamchandani of the original plans for the restaurant he and a former college classmate founded after graduating in 2008. Now, as Balance Grille prepares to open its fifth store this year, the brand’s growth continues to revolve around a suite of tech platforms, at the center of which is inventory management system MarketMan. Born at the height of the recession in 2008, the idea for Balance Grille was a growth concept that was resistant to the economic swings that were taking a toll on other businesses. Technology, Karamchandani reasoned, would be essential to building an operation that could scale quickly and with minimal inefficiencies, which the cash-strapped fledgling entrepreneur could hardly afford. 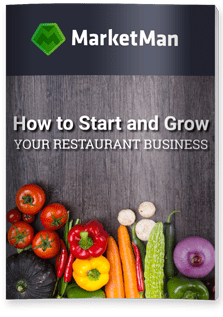 That strategy has worked for Balance Grille, which has managed to stay in the black every month since its founding and currently has five new restaurants in the pipeline, no small feat for a chain that maintains its own full-scale distribution operation in addition to its restaurants. That’s a lot of plates to keep in the air, and Karamchandani says MarketMan has been instrumental in keeping those operations running in concert without any wasted expense. “There are a number of inventory management platforms out there, but we needed one that would merge with our POS and provide an all-in-one solution to manage our entire system, including distribution, and MarketMan has been able to do that for us,” Karamchandani said. MarketMan tracks every single purchase and sale made by Balance Grille’s restaurants and distribution warehouse, allowing Karamchandani detailed insight into the strength of his vendor contracts, the profitability of each menu item and virtually any other variable affecting the cost of operations. That detailed tracking also provides a crucial safeguard against issues arising from food contamination. If a contaminated product is discovered, Karamchandani’s team can quickly and reliably trace it directly back to the source to prevent a wider problem. Of all of the benefits that MarketMan’s inventory management platform has provided Balance Grille, Karamchandani says the one that first sold him on the product was its simple on-boarding process, which he says will be an essential feature for other foodservice businesses who may be apprehensive about adopting a service they don’t fully understand. Karamchandani says the success of Balance Grille, like that of all restaurants, is tied directly to the strength of its inventory management, and he is confident that MarketMan’s platform will continue to provide the insight and control necessary to support the brand’s rapid growth.